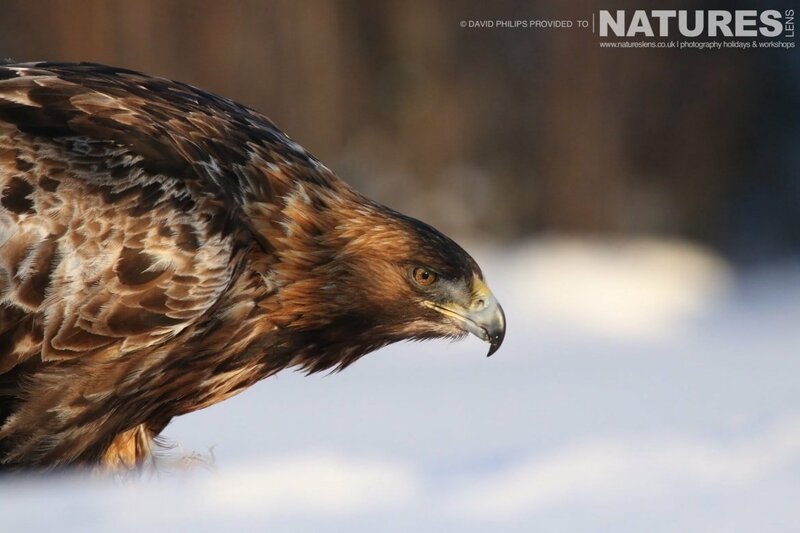 The Golden Eagles of the Swedish Winter was Murray’s first trip with NaturesLens & he enjoyed himself so much that he went on to book another snow-related tour; which he has just completed, he visited the Ice Grizzlies of the Yukon with both of us. 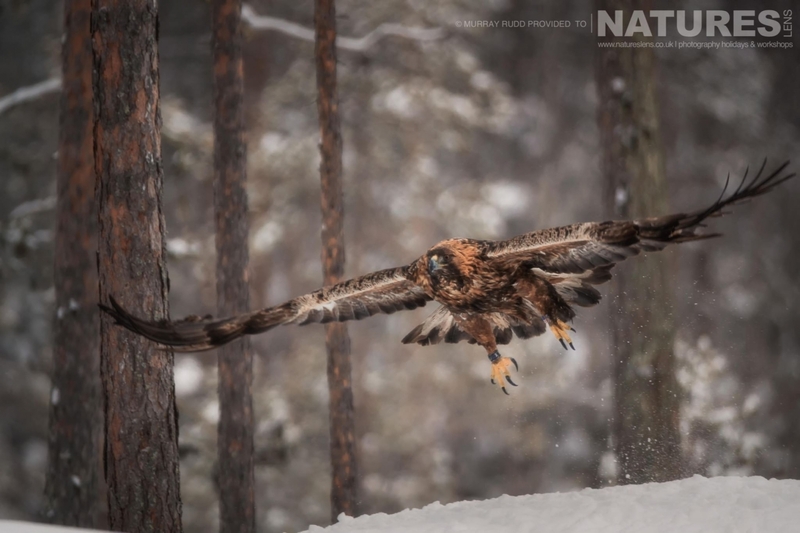 I have to say that the images which came out of the first Golden Eagles of the Swedish Winter photography tour were just stunning! 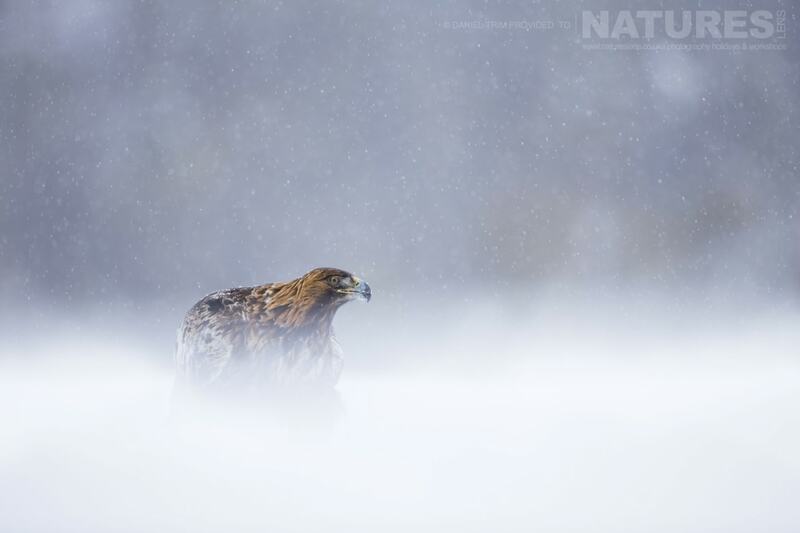 Majestic eagles, little birds & even a fox! 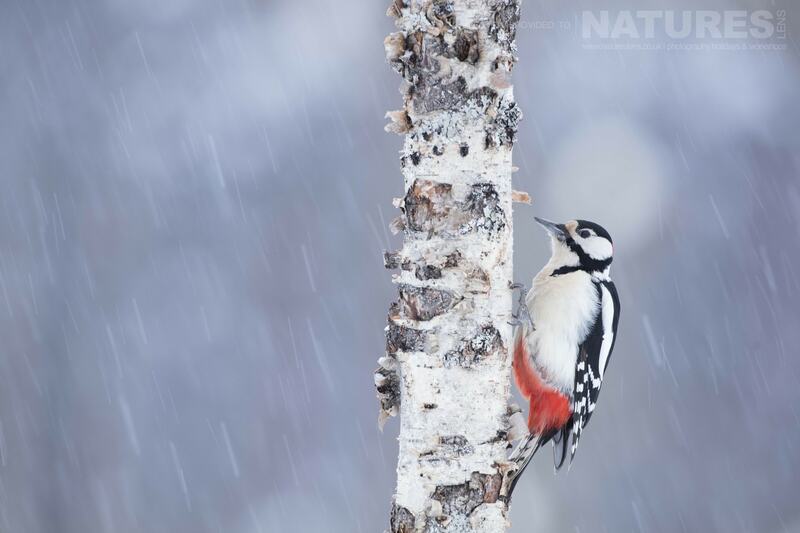 Northern Sweden in winter is spectacular – the landscape is made up of miles & miles of icy roads & snowy pines. At first, it looks lifeless, but once you get amongst the trees & utilise some fantastic local hides there are some great species to be seen & photographed! For the 2018 Golden Eagles of the Swedish Winter photography holiday, We were staying near Skelleftea & had a great group; we were all looking forward to the next few days! 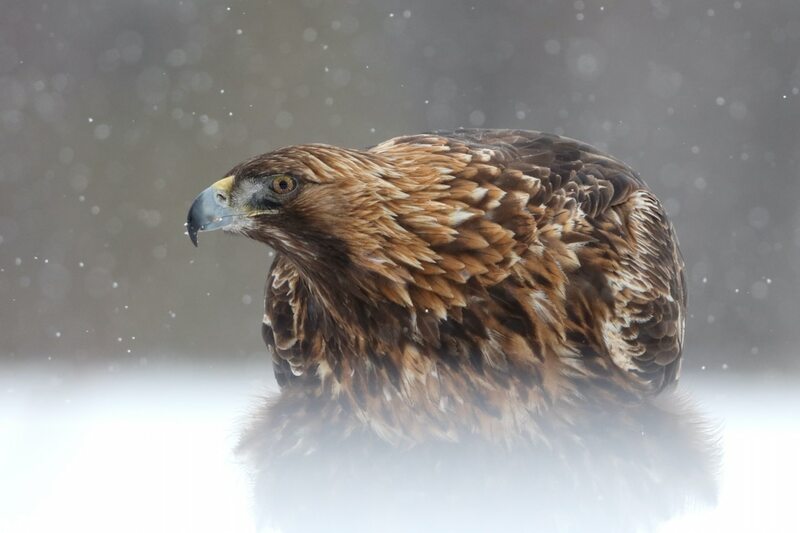 Once we arrived in the winter wonderland & settled into our home for the next four days, it was time to hear how the Golden Eagles had been performing. The outlook was good with visits happening every day in the lead up to our arrival! 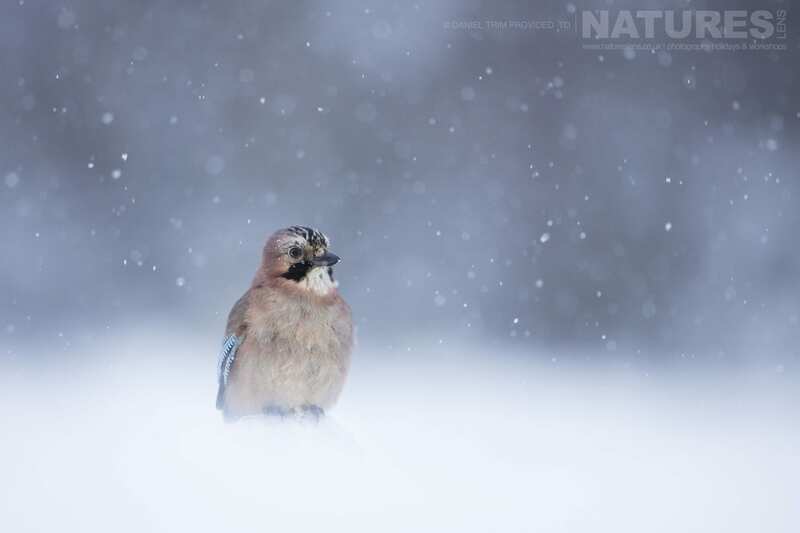 On the first day in the hide, we had steady snow all day, excellent conditions! Not only did this allow everyone to take some wintery photos but it also allowed shooting all day as there was no direct harsh light during the middle of the day. 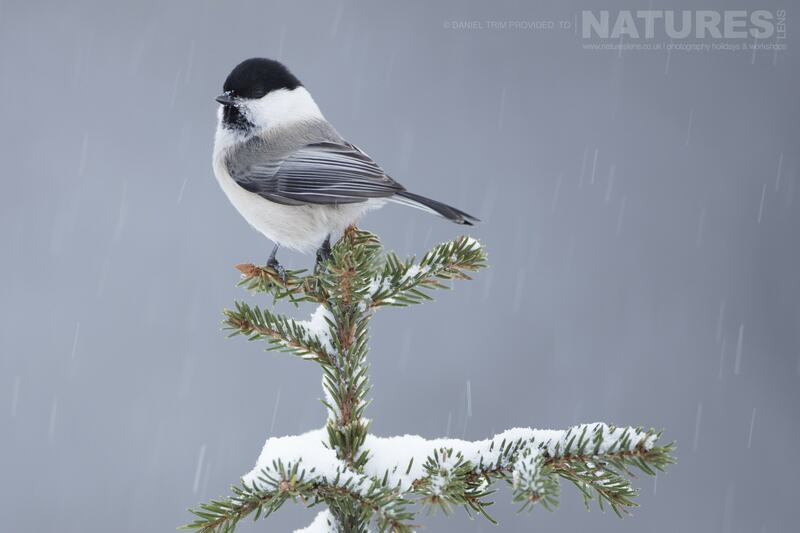 The small birds kept us busy between Golden Eagle visits as they flitted about in the wintery conditions. 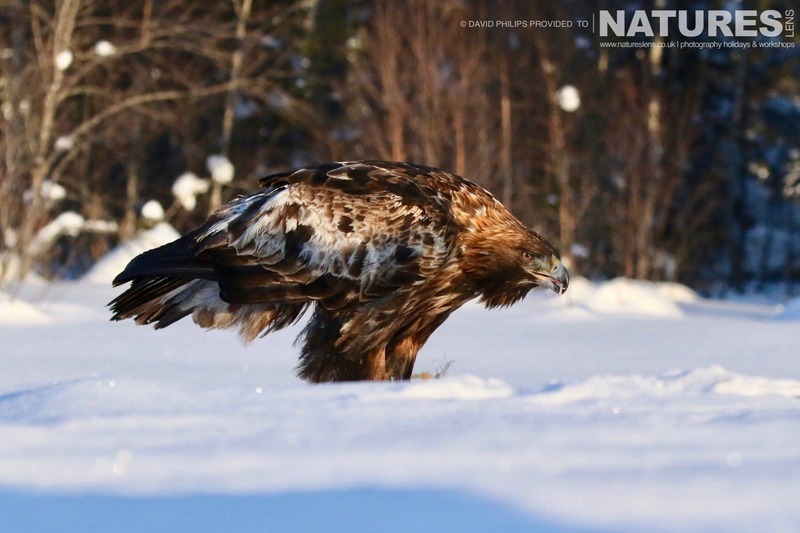 During early March 2018, David attended our Golden Eagles of the Swedish Winter photography holiday. 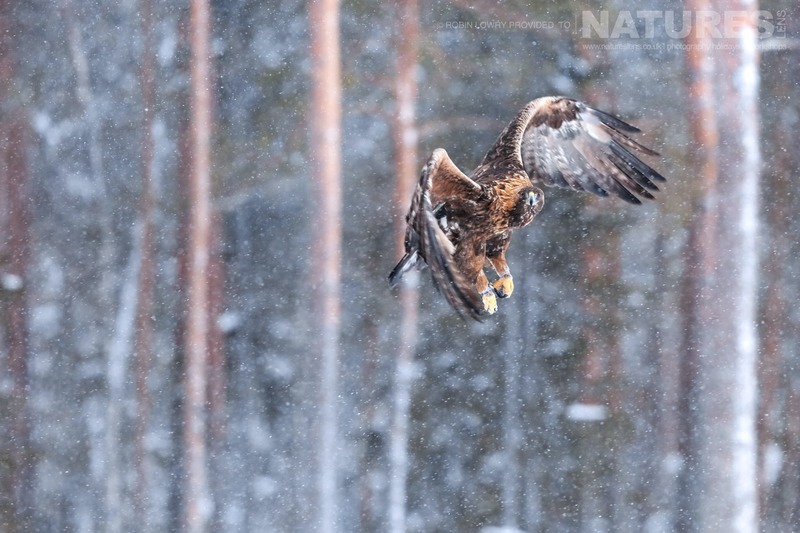 We chose this time of year to visit Sweden because the Eagles are most active in cold weather. Also, Northern Sweden in winter is spectacular with the pristine snow providing a magical quality to the images. 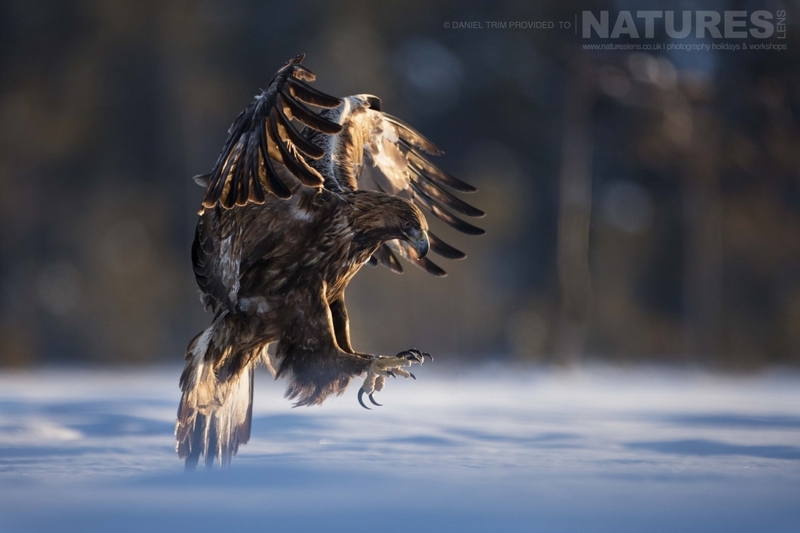 As you can see from David’s photographs, he was blessed with amazing light & some stunning eagle activity. 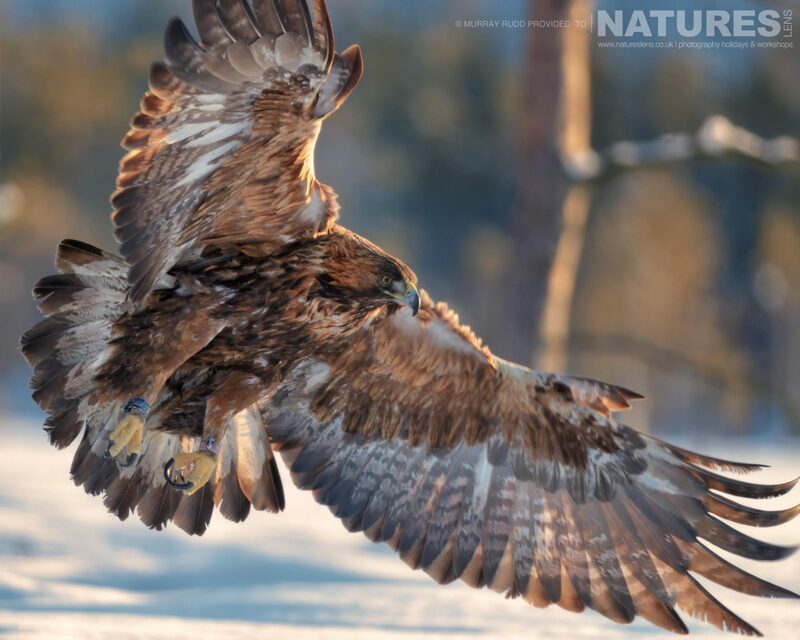 Just look at the catchlight in the eagle’s eyes & the gorgeous golden tones in the feathers. 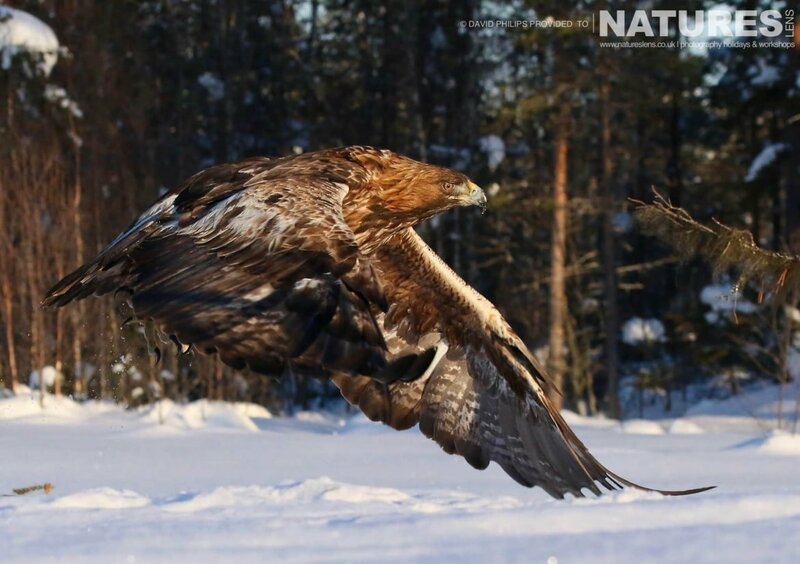 Whatever your query regarding our photography holiday, Golden Eagles of the Swedish Winter by David, please fill out your details below & we will get back to you.